Kent’s Second XI ended their season with a convincing 127- run victory over Essex, the Southern Division County champions, in a four day friendly at Canterbury’s Polo Farm ground, writes Peter Burrowes. Requiring 262 to win in their second innings, Essex were skittled out for just 134 with trialist left arm seamer Freddie Klaasen taking 4 for 67 to add to his 3 for 97 in the visitors first innings. 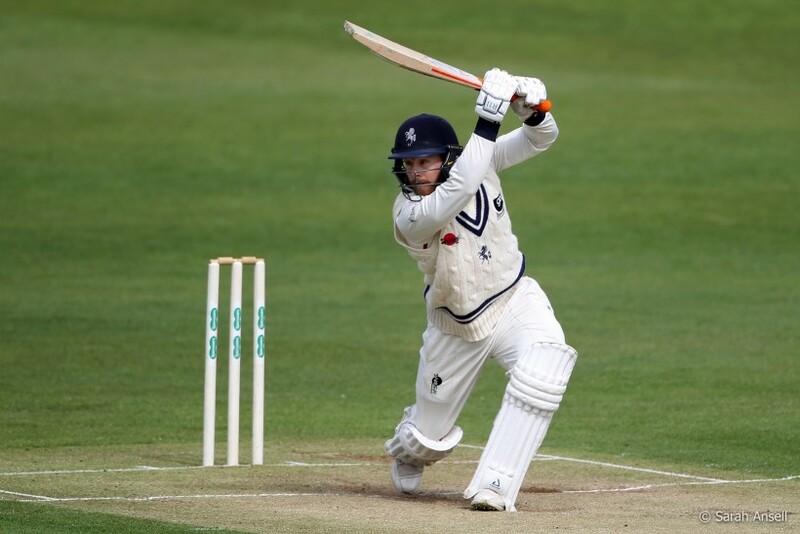 Kent had put themselves in a strong position from the start with a first innings total of 412, with skipper Adam Rouse hitting 124 with 24 boundaries and youngster and former Hampshire Academy student Harry Came smashing 143 with a six and 19 fours – it was his fourth century of the season for Kent. The pair put on 189 in a second wicket partnership. Essex were bowled out in their first innings for 295, a deficit of 117 with former Kent player Matt Coles slogging 41, which included three successive sixes in an over. In their second innings Kent also struggled and made just 144. In the Second XI County championship this season, Kent finished fifth of nine teams and won two of their eight matches beating Sussex by seven wickets and Surrey by 165 runs. There were drawn games against Somerset, Middlesex and Glamorgan and defeats to Essex, Hampshire and Gloucestershire. Wicket-keeper batsman Ollie Robinson scored 589 runs in the championship, including a double century and was rewarded with his senior championship debut for the first team in the victory over Leicestershire, playing as a specialist batsman. The leading bowler was Grant Stewart with 24 championship wickets and he too is looking to establish himself in the senior side and has already scored a century for the first team. The Second XI also played one day Trophy and T20 matches during the season with mixed success and a number of four day friendly fixtures against county sides when a number of trialists and Kent Academy youngsters were given the opportunity to show their potential.